Fortunately, there's Schaum's. 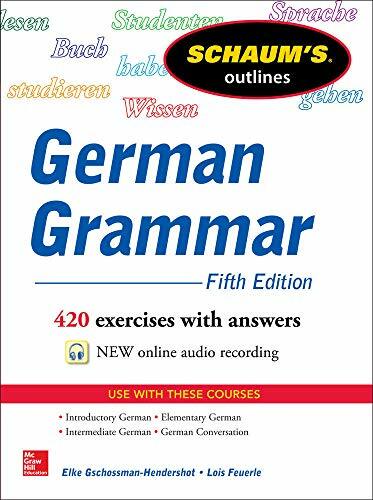 This all-in-one-package includes more than 400 exercises with answers to sharpen your German grammar skills. Plus, you will have access to 2.5 hours of downloadable audio files for additional practice--it's just like having your own virtual tutor! You'll find everything you need to build confidence, skills, and knowledge for the highest score possible.